So call them what you may (just not BS!) – skills, knowledge, abilities, behaviors, capabilities – the label put on them makes no real difference – the manner in which leaders act, or don’t act, in accordance with their intended outcomes makes a significant difference, and moreover, one that tracks to (better or worse) achievement of business goals. So the question I often, and understandably, hear then is: For what competencies should our leaders be accountable? And, if you guessed that my answer is: The ones that drive achievement of your business goals, well then, you’re right! With that said, I acknowledge that each organization is unique with a slightly (if not drastically) different configuration of business goals. And at the same time, I am confident that the majority of those goals tie in like ways to expected revenue, customer satisfaction, retention of top talent, engagement, defect rates, and other similar business metrics. 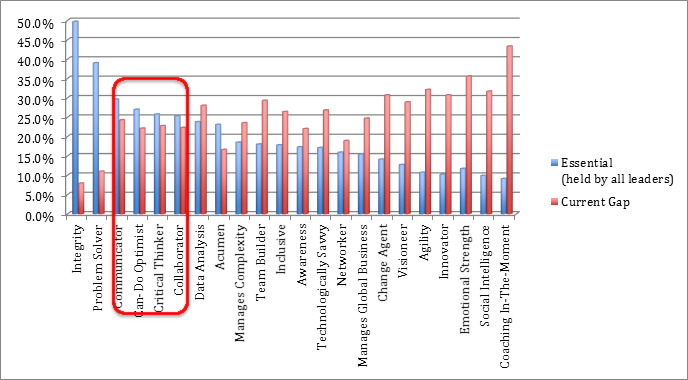 If you’ve come along with me this far, then perhaps you won’t argue too vehemently that there is likely some small set (perhaps along with others) of leader competencies for which all high-performance organizations (those that get better results on business metrics than their lower performing peers) hold leaders accountable. 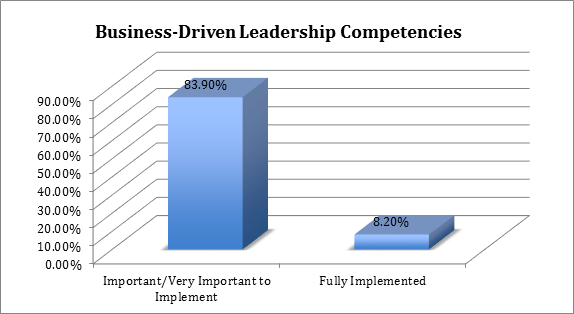 Which of the following leadership competencies are very important for achievement of your business goals? How well have your leaders mastered them? in order to successfully lead organizations to achievement of business goals. And that most of them have an fairly broad opportunity to improve their performance in those four competencies. Improving our leaders’ mastery in these four areas requires targeted development and often opportunities in lateral assignments to build requisite experience that propels mastery of these competencies. Being focused and committed to executing on targeted development, in a progressive and continuous way, reminds me a bit of a recent post I read by a former colleague: Revoking Your License to Lead. Here Glenn discusses how getting to be a darn good leader requires their thorough understanding of their responsibilities, their aptitude for success, and their mastery and competence of critical knowledge, skills, abilities – a “certificate to lead” of sorts that includes a competency component! Have you defined your leadership competencies? Have you double-checked that the competencies you’ve included in your leadership competency model align with acceleration of your business goals? Are you missing any? Have ones that are really not so needed? Do you need your leaders to be expert communicators, can-do optimists, critical thinkers, and collaborators? Other? 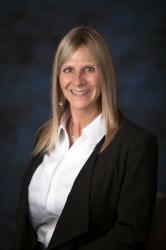 A principal talent analyst and consultant with Brandon Hall Group, Laci is expert in all areas of human capital management particularly talent management, leadership, leadership development, and succession management. She has worked in the public and private sectors consulting global and matrix Fortune companies across all industries on integrated talent initiatives. Laci holds a bachelor of science from the University of Illinois Urbana-Champaign; earned her MBA from Keller Graduate School of Management; and is currently a PhD candidate in organizational psychology. Laci’s hometown is Chicago and she is based in Las Vegas.